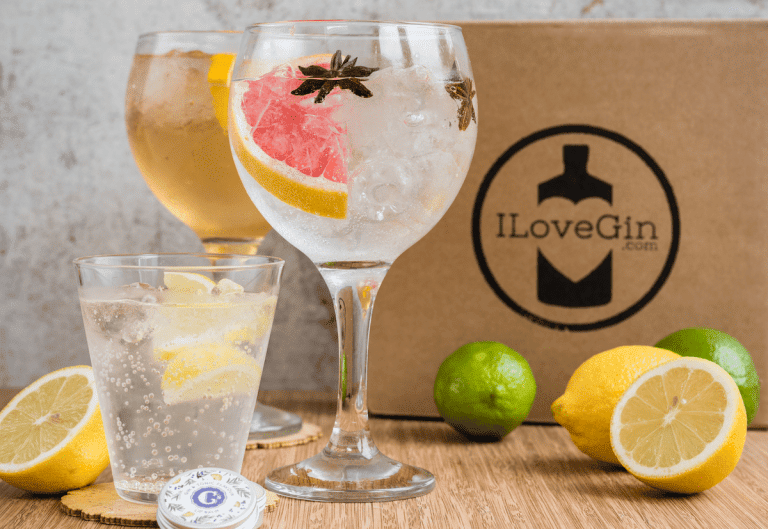 If your favourite weekend tipple is a good old Gin and Tonic, then the I Love Gin subscription box is right up your street! 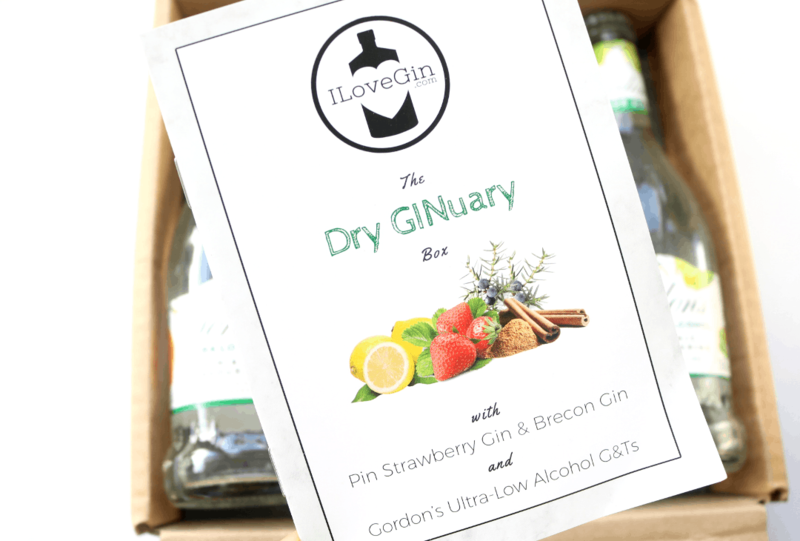 Gin is my favourite spirit and the I Love Gin boxes are such a pleasure to receive every month. 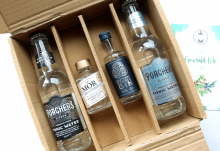 Each box contains two mini bottles of artisan/premium gin and two bottles of mixers/tonics, so that you make up to four high-quality G&Ts in the comfort of your own home. That’s right – you needn’t brace the freezing cold weather on a journey down to the pub – just get I Love Gin delivered to your door and you’re sorted! Created to celebrate the county’s magical and rich history, Pin Gin is Lincolnshire’s very first gin and has been in operation since the early 1990s. 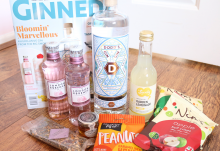 Ran by Alan, the head distiller who learnt the fine art of distilling spirits from his father, Pin Gin has a very classic and delicious dry gin flavour with notes of Black Pepper, Rose, Lavender, Liquorice, Cinnamon, Almond and Citrus. The botanicals are steeped for 24 hours to give it the most balanced and rounded flavour possible. This new Strawberry edition is a popular variant of the original Pin Gin recipe and has a beautiful sweet aroma, whilst remaining faithfully dry on the palette. Spicy Juniper, Red Berries, Black Pepper, fresh Cucumber and Floral Rose all add to the background flavour to allow those subtle notes of Strawberry to shine through. This is a lovely gin that reminds me of Summer! 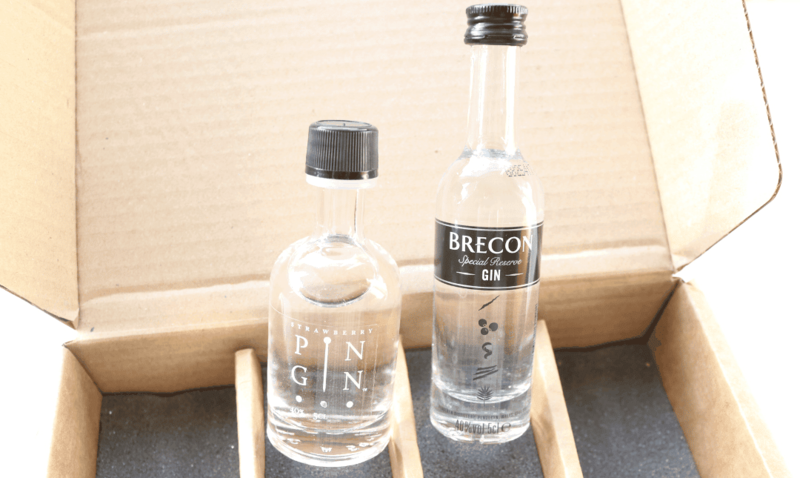 The origins of Brecon Gin are simple and straightforward – in the late 1990s, a group of friends met in a small local pub in a post-industrial valley town in Wales and decided to bring their dream of opening the first whisky distillery in Wales in over a century, to life. Their Penderyn Distillery was quickly born and once the group had mastered the art of whisky distillery, they moved onto tackling their next challenge, gin! 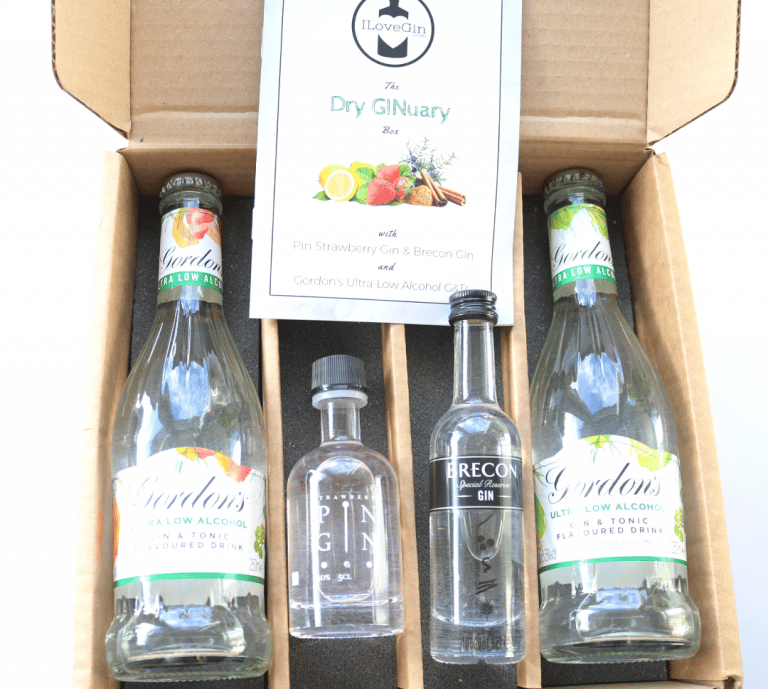 Brecon Gin is the end result and it’s a mighty fine gin which contains botanicals that are sourced from the four corners of the world, and uses water that’s locally derived from the Brecon Beacons National Park. This gin has a strong, traditional Juniper flavour with notes of Coriander, spicy Cinnamon, Nutmeg, Licquorice, Angelica, and juicy fresh citrus fruits such as Oranges and Lemons. Unsurprisingly, it also has a very summery feel about it! 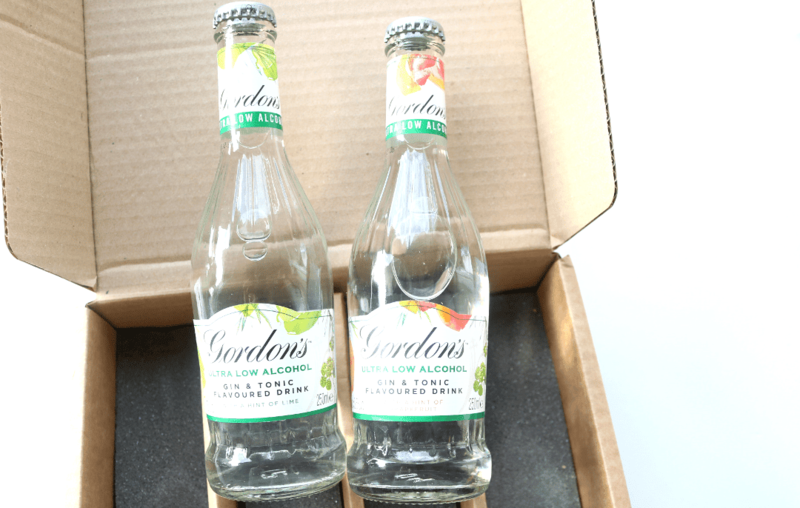 Instead of mixers this month, I Love Gin has included two new drinks from Gordon’s; their Ultra Low Alcohol Gin & Tonic Flavoured Drinks, to help mark the occasion of Dry January. 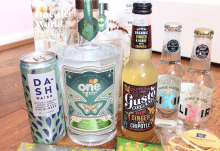 For those who are cutting back on their booze, these drinks retain the great taste of a refreshing Gin and Tonic, minus the alcohol content (each one is less than 0.5% ABV), and only 68 calories per serve. The two featured here are Hint of Lime, which is reminiscent of a classic dry G&T and Hint Of Grapefruit, which is more balanced with a lovely juicy twist. Two smashing gins to start the year off with and I was pleasantly surprised by how much I liked the Gordon's drinks!